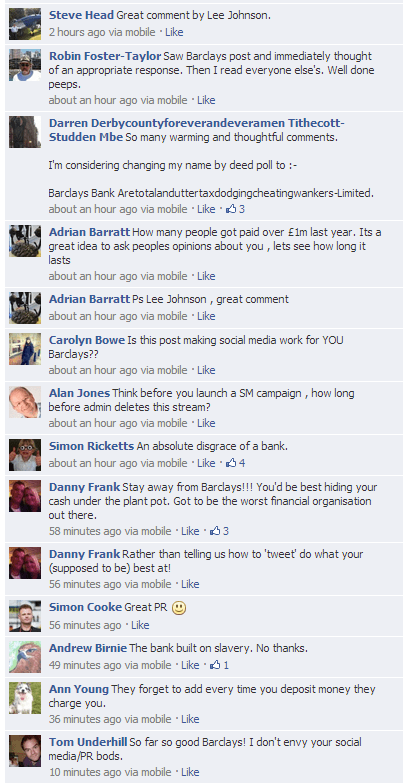 In a desperate attempt to stem the tide of hate, Barclays has chosen to empower and enthuse their supporters using social media. 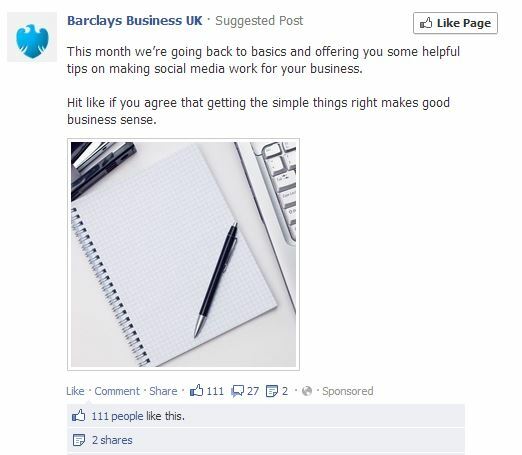 Sadly, their cunningly-executed Facebook campaign hasn’t gone entirely to plan. Fans of well-conceived engagement campaigns should look away now. It’s not pretty! So, before you read how the campaign evolved in all its grizzly glory, a quick word about the lessons people can learn from this car crash of a social media campaign. 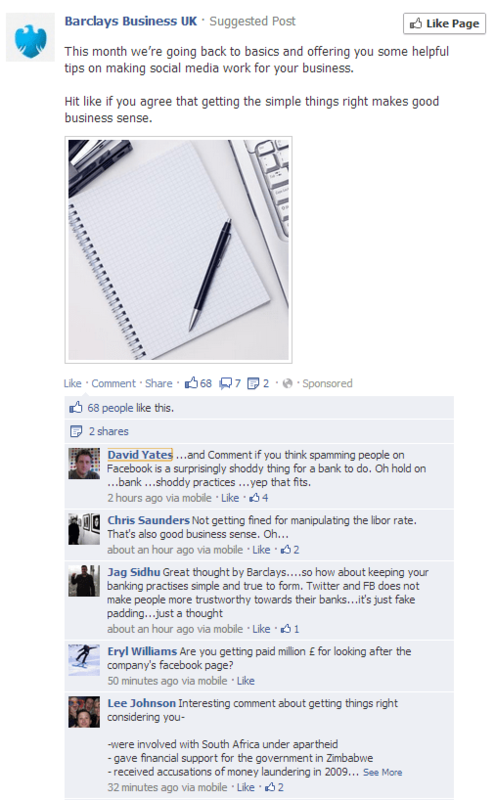 Firstly, advertising in social media always risks coming across as spam unless it adds value. Spam + an already-despised business is a pretty heady mixture of doom and failure. The bank comes across as completely out of touch with the depth of feeling against it. To have a fighting chance of authentic engagement (which this is not) they should’ve focused on shared passions. Share their expertise on subjects which can add real value to their customers. I’m (wild) guessing something financial? And targeted people who care about financial issues. And be confident that social media is the vehicle for it. Which I am not. Consumers aren’t stupid. We know a diversion tactic when we see one. 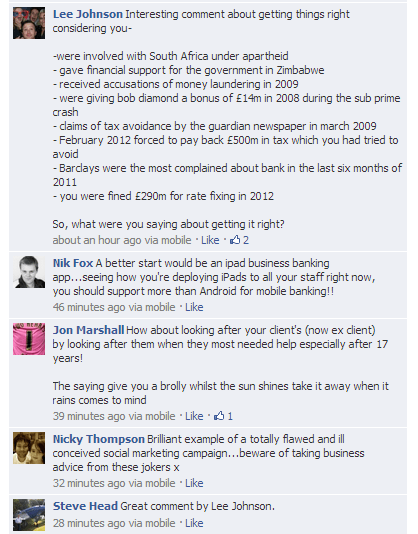 Why on earth did anyone think we would be interested in discussing social media tactics with a bank? Let alone one that does it as badly as this? It’s not as if they haven’t had previous for this!